This is it. 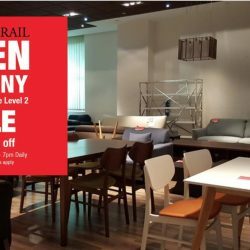 Picket & Rail's Annual CNY Super Sale with discounts of up to a whopping 80% off is happening this CNY weekend! Their Tagore showroom will stay open throughout the CNY holidays from Saturday 28th Jan till Tuesday 31st Jan.
We have in-store for you fantastic bargains on all bedroom, living room & dining room furniture. Even customized windows blinds, curtains and wallpapers are on sale! We've also packed our Clearance Hall with heavily discounted floor samples, discontinued items and display pieces including leather sofas, solid wood tables and chairs and much more! Great for bargain hunters and those who wouldn't mind a few scratches and dents at much lower prices. This week, in conjunction with Singapore's 51 years of independence, we're giving 51% off all our Solid Wood Queen and King-sized bed frames! 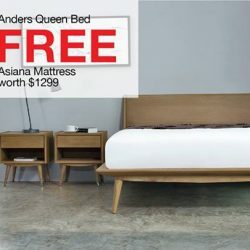 PLUS, you'll get a FREE "Asiana" Luxury Premium Latex-Top Mattress worth $1299 with every Queen or King bed frame purchase! 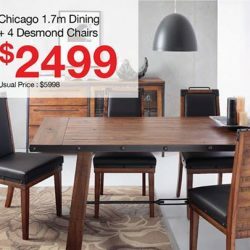 This week, for a limited time only, all of our Dining Sets are going for a whopping 51% off and more! 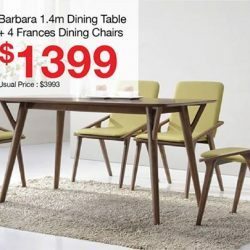 This week, for a limited time only, all of our Dining Sets are going for a whopping 50% off and more! This week, we're having a sale on all Bunk Beds, Single beds, Super Single, Queen, King and Tall beds(for tall people) with discounts of up to a whopping 50% off!! Plus, get a FREE Mattress worth $299 with every Bunk Bed purchase! Our Solid Wood Bunk Beds come in various sizes: Single, Super-Single and Triple (top-deck Single, bottom-deck Queen). 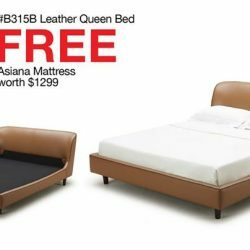 We are also giving away our "Asiana" Luxury Premium Latex-Top Mattress worth $1299 for FREE with purchase of any Queen or King-sized bedframes.